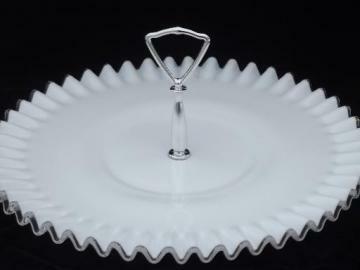 This is a Vintage Fenton Silver Crest milk glass sandwich plate with center handle. It's about 12 1/2" in diameter. The glass looks excellent without scratching or wear, and the handle looks good as new!